The previous year has been a busy one for everyone in the construction industry and it’s safe to say this is going to be the case with 2018 as well. With technology advancing at a rapid pace and more options in front of construction companies, this year is going to be filled with opportunities and innovations. Still, which trends are going to matter the most for Australian construction companies in 2018? Read on to find out. In 2017, we saw plenty of Australian construction companies use some new materials in their work. We can expect to see such innovations to appear in 2018 and allow for stronger and more eco-friendly designs. Graphene is one of the materials that has been gaining a lot of attention lately. Even though it’s not a new material, graphene wasn’t regularly used by builders before. Still, with a new production method that’s been developed, Australian construction companies will see graphene being more available and less expensive, making it a perfect material for them to use. On top of this, they may also look into the possibility of using a mix of recycled materials and concrete instead of traditional concrete. Drones really are the next big thing when it comes to technology. After all, we see more and more people use these every day. But drones aren’t only designed for personal use. Last year, we got a chance to see construction companies using these little things for planning, monitoring sites and showing clients the progress. In 2018, we could finally see drones playing an even more important role for construction companies in Australia. What this means is that they’ll use drones as a sales tool that’ll help them win more business and instill client confidence. Not only this, but companies are expected to use drones to inspect their sites and identify any potential hazards. When building, it takes a lot of work and coordination in order to get the job done right. But if not all the work has been coordinated the right way the entire project suffers. That’s why experts have been working on giving project management a boost and they’ve certainly managed to do so. A lot of Australian construction companies are now using BIM, which allows them to see the blueprints of their projects in 3D and manage their work more efficiently. On top of this, there are so many new tools that can be used in any industry that construction companies can benefit from. For example, Cloud software allows project managers to share data with anyone involved in the project in a matter of seconds. Starting a construction business takes a lot of money. This is mostly the case because purchasing brand new construction equipment is extremely expensive. However, we can now see more and more new construction businesses deciding to rent their equipment. Not only that this is a less expensive option for them, but it also doesn’t tie them down to particular equipment. Moreover, with rentals, both maintenance and repairs are lower and more manageable. It seems like this trend is only going to get more popular in 2018 and more Australian construction companies will be opting for rentals. With this trend on the rise, we’ll see plenty of companies offering rentals. For example, companies looking for crane hire in Melbourne should have no trouble finding a great deal. 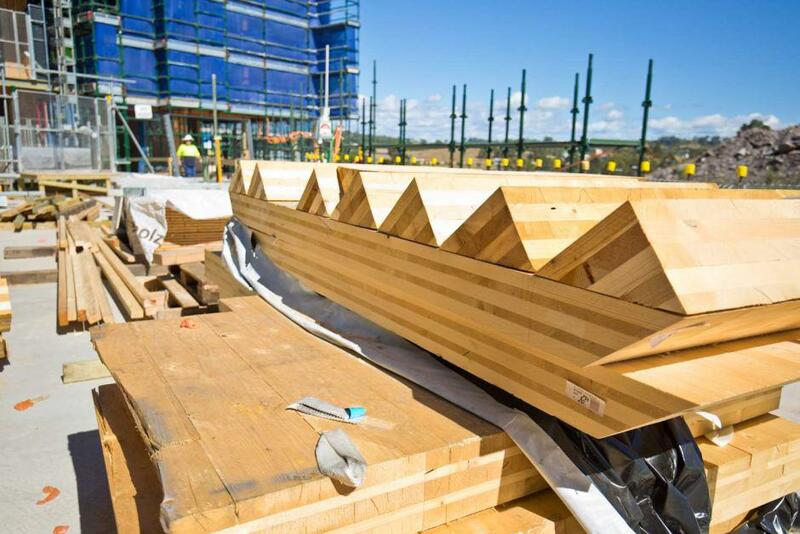 Sustainability is starting to play a huge role in the construction industry. The effects of global warming are something companies need to have in mind. They’re expected to rethink their design and construction elements. This is especially the case because CSIRO has released a warning according to which replacing buildings that have been exposed to harsh weather conditions could cost even up to $1 trillion, in Australia by 2100. Therefore, project managers in construction companies will have to start taking global warming and harsh weather conditions into account during the planning stages. This means we’ll see more water-resistant materials being used as well as new flood-proof constructions being built. 2018 will be ab big year for construction companies in Australia. It’s extremely important for anyone in the industry to try to stay on top of the most recent trends and keep looking for the ones that are yet to emerge.